402.812.5676 – affordable Photo Booth rentals for Eastern Nebraska and Western Iowa. 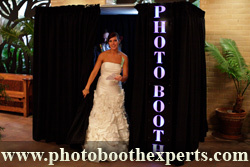 402.812.5676 – Photo Booth Experts – affordable Photo Booth rentals for Eastern Nebraska and Western Iowa. Once you have decided your date and the options you are interested in please use the form on www.photoboothexperts.com/photoboothquote.php to contact us for a quote. If you have questions before asking for a quote be sure to contact us. Request a Photo Booth Rental Quote on the website or call 402.812.5676 if you have any questions. Copyright 2014 - Photo Booth Experts Blog . Powered by Photo Booth Experts . Photo Booth Across America a Directory of Photo Booth Vendors. by Promotions Technologies . WD Style .